ANS. El Conquistador Hotel, Tucson, Arizona. February 1st 1931. 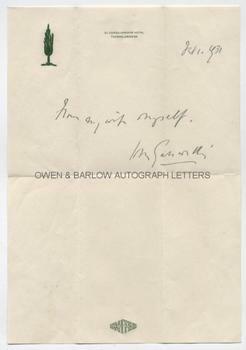 A brief autograph note "From my wife and myself", signed. 4to. Approx 10.5 x 7 inches. In very fine condition.